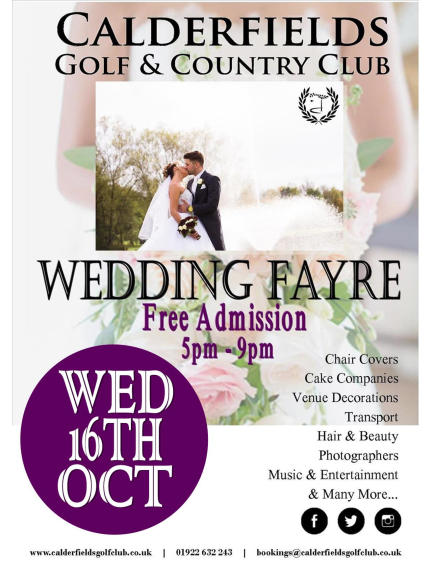 Calderfields presents their Wedding Fayre on Wednesday 16th October 2019! From 5pm - 9pm, FREE Admission to all! Come on down and see what Calderfields can offer for your big day! Calderfields presents their Wedding Fayre on Wednesday 16th October 2019! From 5pm - 9pm, FREE Admission to all! Come on down and see what Calderfields can offer for your big day!